Daily facial cleansing has long been considered to be one of the basic fundamental requirements for having clear and happy skin. And yet so many people still struggle with their skin despite washing religiously every day. What gives? While this might come as a surprise, for some people using a detergent or even natural soap based facial cleanser proves to be the opposite of beneficial for their skincare goals. This makes it difficult for people who still enjoy the daily ritual of washing their face, or if they are someone who wears makeup and wants to effectively wash it off at the end of the day. But there is a solution, and it might not be what you’d expect. The solution is called oil cleansing, and in case you can’t tell by the name, it’s when you wash your face with a botanical oil instead of soap. Now, a lot of people have been taught to fear putting oil on their face; the story goes that oil creates breakouts and clogged pores. However, this is actually not true. While everyone’s skin is unique and what works for one person might not work for another, there are specific carrier oils that are especially suited for oil cleansing, even for people who struggle with issues like clogged pores and breakouts. If you are interested in oil cleansing but are worried about clogged pores and having a perpetually oil slicked face, go with an oil like Jojoba. Not only is it a great oil to start out with because of how gentle and simple it is, but it also contains the full spectrum of vitamin E. It also has a chemical composition very similar to your skin’s own oil, which makes it especially easy to absorb and utilize. Jojoba also sinks into the skin very quickly, so you don’t need to worry about having an oily complexion, and it actually helps to unclog pores and balance your skin’s natural oil production- which is not something that a regular soap based cleanser can do! There are plenty of other carrier oils you can use to oil cleanse; Jojoba just happens to be a really great introductory oil for those who have never tried it before. 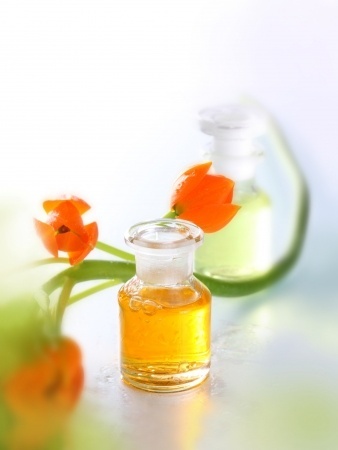 Other private label plant oils that are good to oil cleanse with include olive oil, rosehip seed oil, tamanu oil and seabuckthorn. Try one, or blend them all together for a facial cleansing experience like no other!